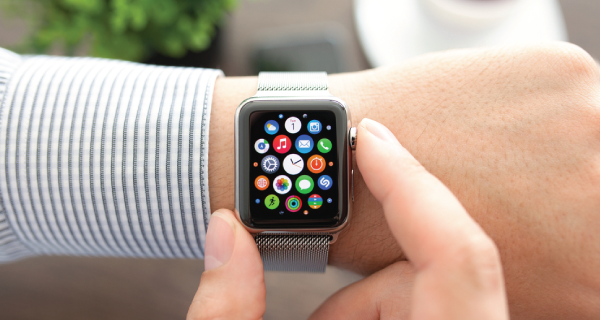 TigerText – the leading provider of secure messaging solutions for the healthcare industry – has today announced details for the first secure messaging app to be made available for the Apple Watch. From early next month, Apple Watch users will be able to take advantage of TigerText´s secure messaging capabilities in order to send and receive secure, encrypted messages from their wrist. TigerText for the Apple Watch will enable users to securely communicate with anyone hands-free, helping them save valuable time – especially in critical care settings. • Speech-to-Text: As an alternative to typing out a text message, users will be able to dictate to the app – which will then translate the words into text. • Receive Notifications and Alerts: Users can redirect message notifications and EMR alerts from their usual source of communication to the Apple Watch app. • View Photos: Users will be able to view images sent as attachments in secure TigerText messages on the Apple Watch app. • Security and Compliance Guaranteed: All messages sent and received via TigerText for Apple Watch are secure, encrypted and compliant with industry privacy standards. Speaking about the new TigerText app, the company´s co-founder and CEO – Brad Brooks – said: “Wearable technology is going to see a boom in popularity, and the Apple Watch will be the first to revolutionize this trend”.